Without question my most memorable interview and on-air experience to date was on September 28, 1974, a Saturday afternoon I spent with John Lennon. 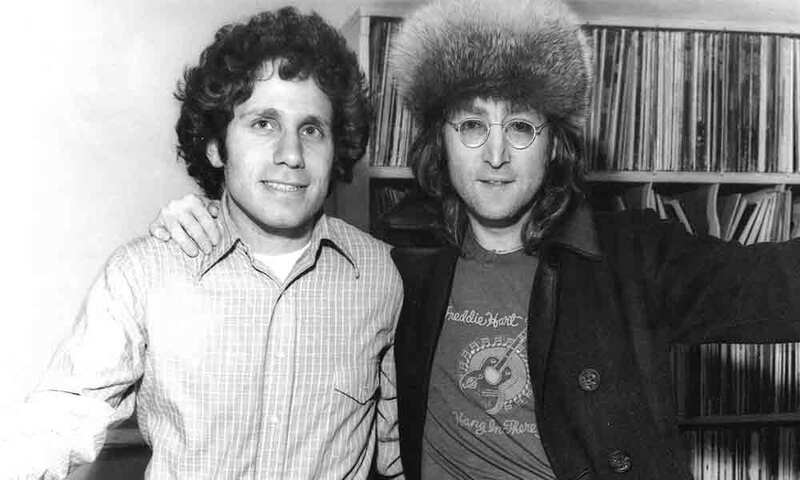 I had met him just a few weeks before at the Record Plant recording studio and casually asked him if he’d like to come up to the station to talk about his forthcoming album Walls and Bridges. I doubted anything would come of it, since none of the Beatles had ever visited our station before. When he showed up eager to talk, bringing with him some obscure 45’s he wanted to share with the audience, I didn’t know what to expect. In part #2 of the interview we’re just coming out of the song “#9 Dream” from the newly released Walls and Bridges album. John tells us a bit about the track’s strange ending, the album cover art and the key players. 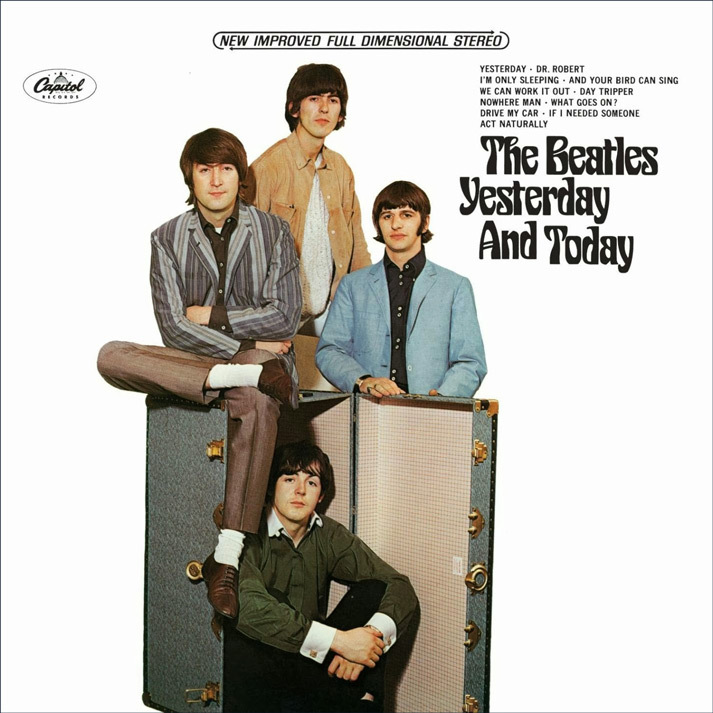 We also talk about Beatles producer George Martin and John introduces the first of several “oldies but goldies” he’s brought along from his personal collection. In this excerpt, we’re just coming out of two songs, the first which John had chosen to play. It was an obscure oldie, “Watch Your Step” by Bobby Parker that he brought along from his personal collection. He wanted to show how a particular musical “riff” in the song wound up influencing various songs including the Beatles’ “Day Tripper.” The conversation was unfolding live in real time. None of the music had been pre-selected. 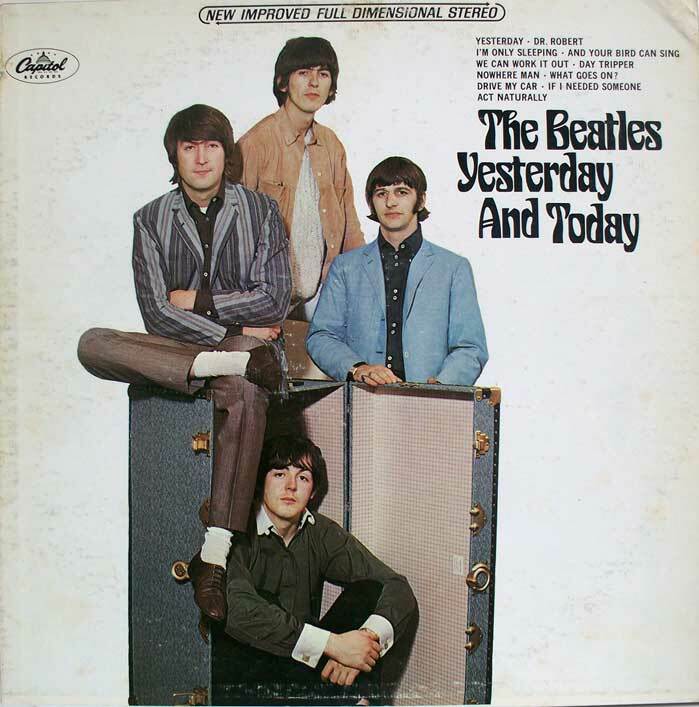 As “Watch Your Step” played I pulled the Beatles’ album Yesterday and Today that contained “Day Tripper” from our massive wall of albums just behind us in the studio. 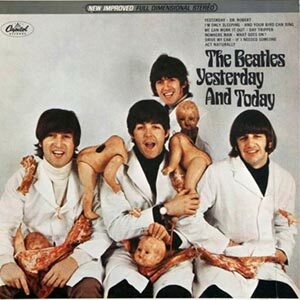 As I cued the song up I instinctively asked him off-air about the album’s infamous cover, which was known then and now as the “Butcher Cover.” To my surprise and delight he quickly started to tell me the story so I politely stopped him and asked if we can do it live on-the-air. 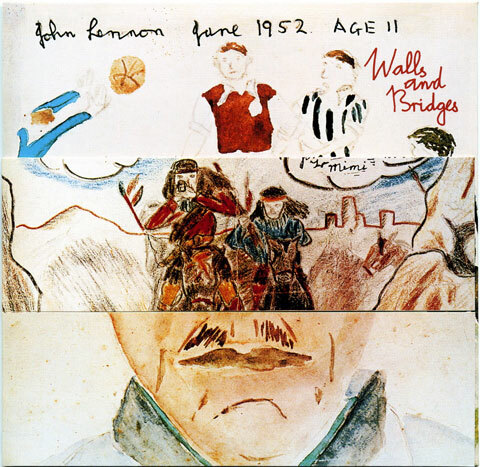 Without any hesitation he smiled and seemed eager to do so and it was at this point that I began to realize that maybe we could comfortably discuss some Beatles’ history along with promoting his then new Walls and Bridges album. It was the first time he ever told the story live on-air and it set the tone for the rest of our conversation. Excerpts from this portion of the interview recently appeared in the Ron Howard documentary “The Beatles: Eight Days a Week”. In this segment we’ve just played “I Call Your Name,” the first of several Beatles’ songs that John will discuss and offer some new insights into throughout the course of the interview. Commercials follow with the end of a spot for an upcoming appearance by The Joffrey Ballet prompting John to share his auntie’s unique perspective on male ballet dancer’s tights. In addition to featuring his own album and some vintage 45RPM singles, we’ve chosen the current release from The Electric Light Orchestra to play next. John wants to point out that this song, like others he’s mentioned, has probably borrowed a riff or two from some earlier hits. 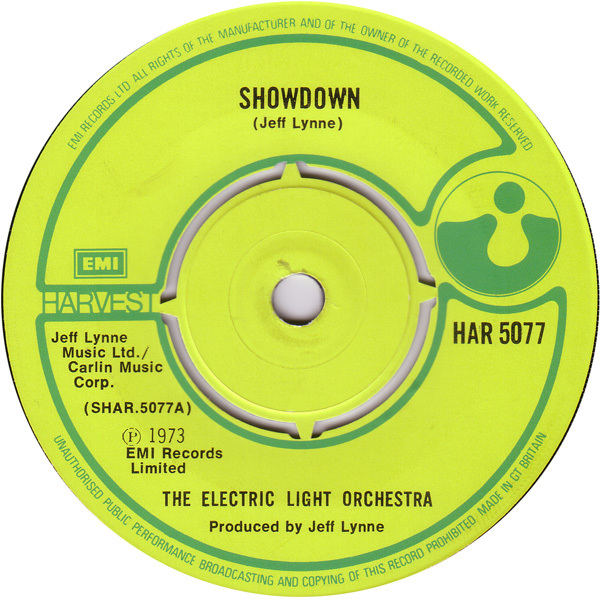 He introduces the track referring to ELO as “Son of Beatles”. It is a comment that will please Jeff Lynne and the other members of ELO when they learn about it. Interestingly, the comment foreshadows Jeff’s future involvement in producing George Harrison and the Anthology Beatles’ reunion songs.